Design FX Audio - Transfer Your 'This' to a 'That'... Your Rental Resource for Seriously Cool Pro Audio Gear - Vintage Audio - Pro Tools HD Systems - Remote Recording Truck – Classic Pro Audio Equipment - Format Transfers - Equipment Repair Services - 25 Years Experience! soon-to-be fossils of note from the early dawn of the digital age would include Sony PCM 3348’s, Sony PCM 800’s, Mitsubishi X-880’s, or even the much feared Alesis Adat machines (evidence shows that, like the Tyrannosaurus Rex, it may be safer for humanity to allow the Adat format to rest in peace). 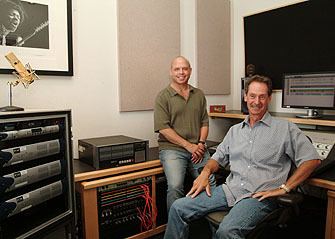 Whether you have valuable information recorded on dubious 1/4” analog tape and you need it transferred into Pro Tools Sessions, or your innate distrust of a hard drives shelf-life compels you to back up your Radar II sessions to ½” digital tape, the Design FX Transfer House has you covered. To schedule a transfer, contact Scott Peets at (818) 843-6555.